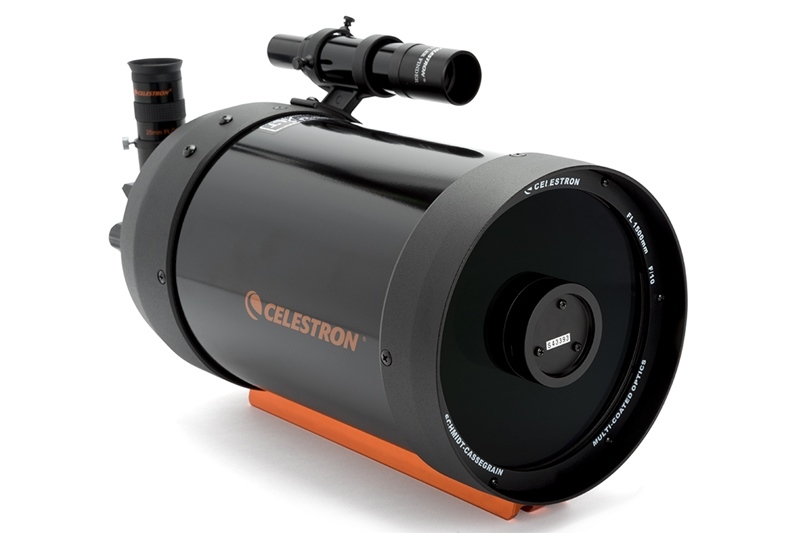 The Celestron 6-inch Schmidt-Cassegrain is a beautiful ‘get-up-and-go’ telescope perhaps allied to an alt/az mount such as the iOptron Minitower which is very quick to set up and needs essentially no alignment before use. Some users, including myself, have found that some of these scopes can suffer from a problem when there is a bright object such as Jupiter either in the field of view or nearby to it. 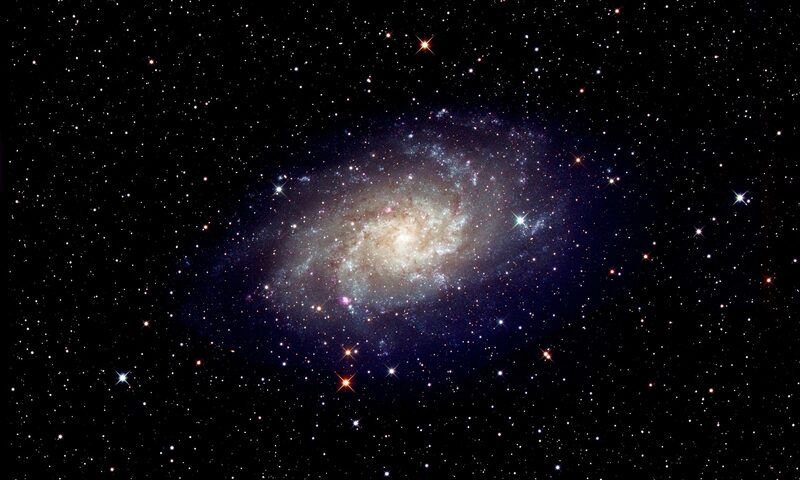 A circular ring of light appears – the whole effect is like a ‘diamond ring’ – which reduces in size as the object gets closer to the centre of the field of view at which point it disappears. I discovered that the ‘ring’ was due to light reflected from the top inch or so (nearest to the secondary mirror) of the baffle tube which appeared not to have been sufficiently blackened. The solution is very simple and requires only the purchase of some matt-black ‘blackboard’ paint and a small amount of fine sand. The sand is mixed with a small amount of the paint – not much is needed. When dry, this produces a very good non-reflective surface. 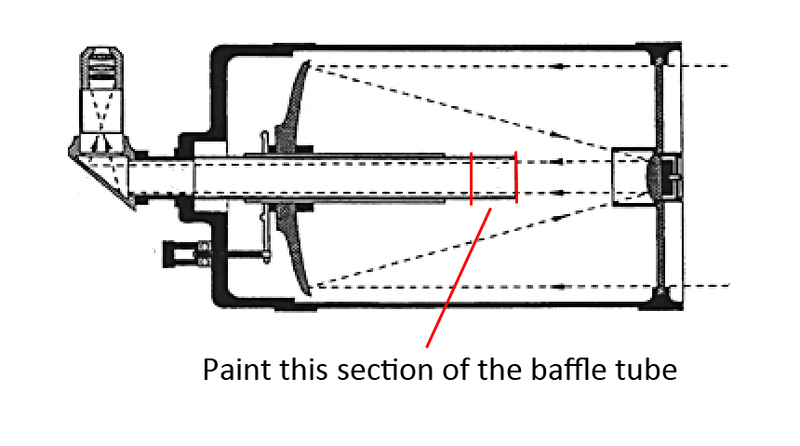 This is used to paint the upper part of the baffle tube. This can be easily done. I wrapped a small amount of fabric around the top of a long meat skewer and secured it with some black insulating tape to make a crude paint brush. The fabric was covered with the paint-sand mixture and the skewer inserted into the baffle from the rear of the telescope. Looking into the telescope through the corrector plate whilst manipulating the skewer one could see when the ‘brush’ was at the top of the baffle tube when circular motions of the skewer could be used to paint the top inch or so of the inside of the tube. When next used, the ring produced by a bright object had completely disappeared. Problem solved! I would not wish this short article to put anyone off buying what I believe to be a beautiful telescope. I suspect that the problem was only manifested on a few scopes in the first production batches – I had one of the very first produced. But if one had bought a second hand C6 which showed this problem then, as I hope I have explained, it is really very easy to fix.